Granted, the Leica lenses in that group are quite expensive, so they may not be under consideration for most of these cameras’ buyers. But in many ways, the S1 and S1R are like less expensive Leica SL cameras – compatibility with the same lenses, yet few drawbacks in feature set or image quality. Still, the S1 and S1R may be less expensive than Leica cameras, but that doesn’t mean the are the most competitive full-frame mirrorless cameras on the market in terms of price. The Nikon Z6, for example, is $2000, and the Sony A7R III is $3200 – each $500 less than the S1 and S1R, respectively. Do the Panasonic cameras hold their own against those alternatives, as well as others like the EOS R? It depends on the specifications you value most, but Panasonic certainly has positioned these cameras as premium options, with a number of interesting features to solidify that impression. The more consumer-oriented of Panasonic’s new cameras is the S1, a 24.3 megapixel camera retailing for $2499 body only. The more expensive S1R is very similar overall, with few differences in specifications aside from the $3699 price and 47.3 megapixel sensor. Both cameras have 5-axis IBIS (in-body image stabilization), which works in tandem with the optical image stabilization found in the new 24-105mm f/4 and 70-200mm f/4 lenses. This leads to a CIPA-rated 6 stops of stabilization with both cameras, higher than either the Nikon Z system (5 stops) or Sony full-frame mirrorless (5.5 stops). 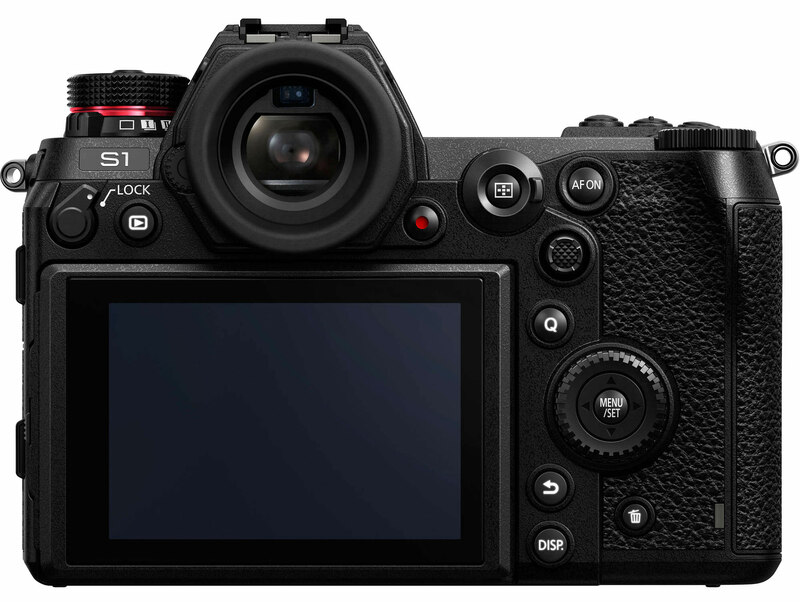 The S1 also has dual memory card slots – one SD and one XQD – which puts it ahead of both the Canon EOS R and Nikon Z single slot systems, as well as Sony’s dual SD card slots. Battery life is rated at 380 shots (S1) and 360 shots (S1R) when using the viewfinder, and 400 and 380 when using the rear LCD. In the same vein as Panasonic’s Micro Four Thirds cameras, the S1 has very promising video specifications. It captures up to 30 FPS 4K video with no added crop factor, and up to 60 FPS 4K video with an APS-C crop. The S1R has a minimal 1.09x crop factor for 4K recording, although its pixel binning likely will result in less detail than the S1’s oversampled 4K video. For stills shooting, the S1 and S1R have a high resolution multi-shot mode, capable of capturing 96-megapixel and 187-megapixel RAW photos by shifting the image sensor for 8 consecutive images. Although Panasonic recommends using this mode primarily for stationary subjects, the company’s press release mentions a “sub mode” that allows the high resolution mode even with moving subjects in the scene. Although the effectiveness of this mode has yet to be seen, the possibility of using it with moving subjects means that it could be more versatile than others on the market today. 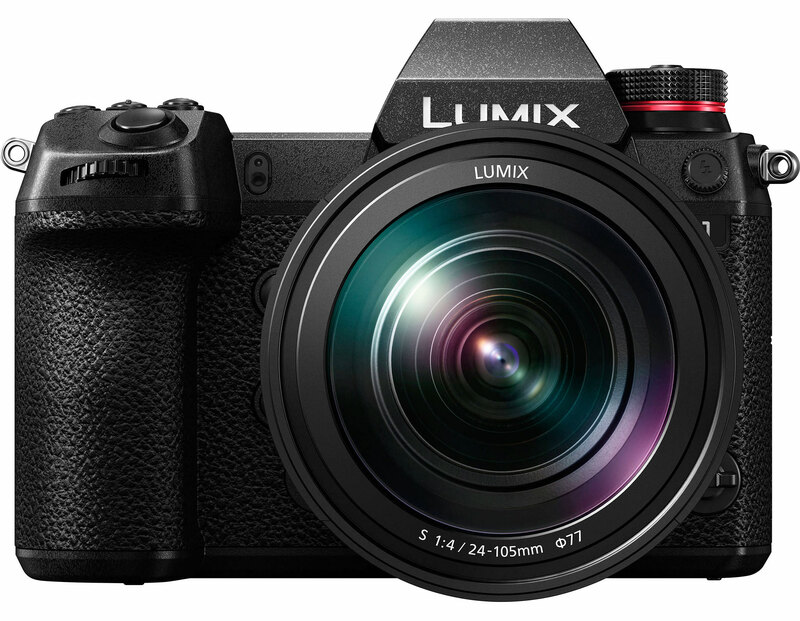 Panasonic also focuses quite a bit on the durability of the S1 (and S1R) in their press release, including the interesting detail that these cameras have a shutter durability rating of 400,000 shots – one of the higher figures on the market. Each button and dial is individually sealed, making the camera relatively splash-proof and dust-proof overall. As for autofocus, the S1’s and S1R’s 225-point systems seem very interesting. Panasonic claims a -6EV luminance detection for Low Light AF at ISO 100 and f/1.4, darker conditions than any other camera on the market. The cameras also have Eye AF and artificial intelligence tracking to locate humans and fast-moving animals, specifically including cats, dogs, and birds. The S1 and S1R match or beat the competition in a number of other ways, too, from the viewfinder resolution (5.67 million dots, the most on the market) to live view boost for composing in very dark environments. 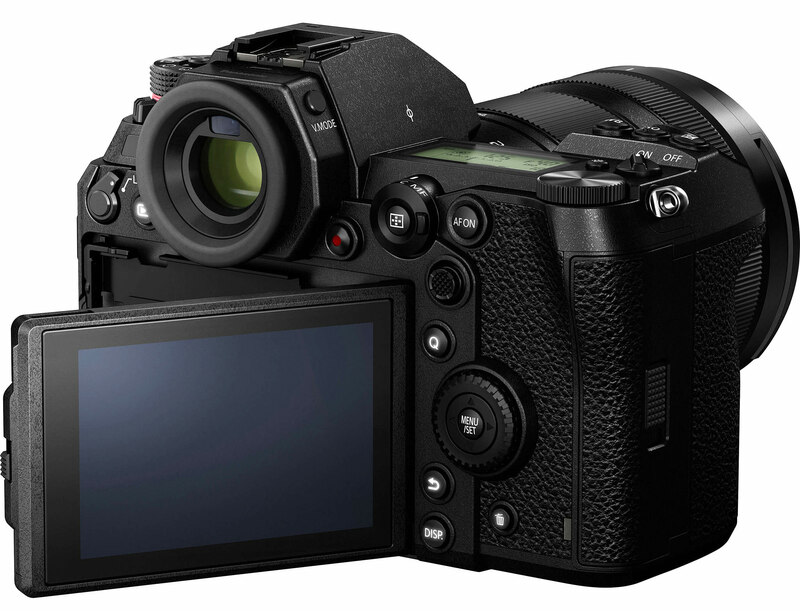 The LCD tilts both horizontally and vertically, unlike Nikon’s and Sony’s competing options. These cameras even have illuminated buttons, along with more obscure benefits like a 1/320 sync speed and no video recording time limit. In terms of negatives, the biggest issues with the S1 and S1R are FPS for still shooting, weight, and price. The S1 and S1R shoot 9 FPS overall, but only 6 FPS with continuous autofocus. The cameras also weigh 1020 grams with battery and card respectively, noticeably heavier than their mirrorless competition, and in line with DSLRs. And, at $2500 and $3700, these are expensive cameras. At the same time, these cameras – particularly the S1 – do seem to be worth the premium price in certain respects. It is easy to look at the 24 MP and 47 MP specifications, as well as the 9 FPS shooting with 6 FPS autofocus, and think that these are in line with releases from Sony, Nikon, and Canon. But the S1 and S1R beat the cameras of other manufacturers in some very interesting ways. 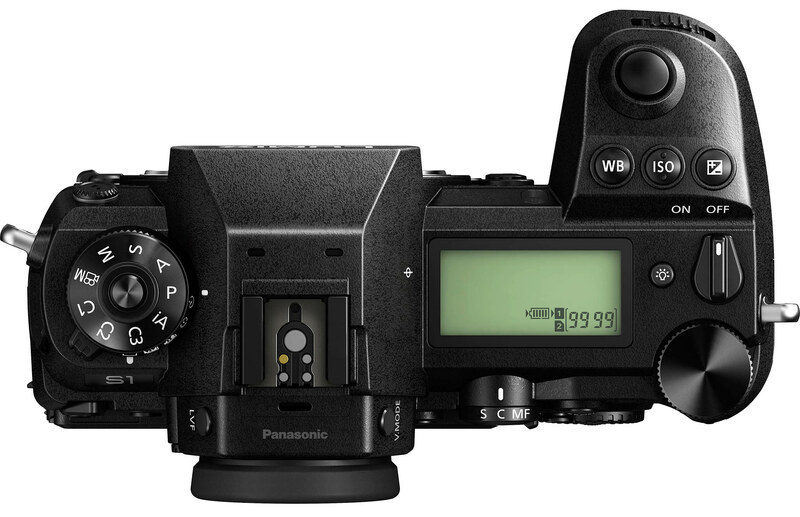 Panasonic went above and beyond in areas that others did not, from the illuminated buttons to the ultra-high-resolution viewfinder and low light autofocus specifications. We look forward to doing more detailed testing of the S1 and S1R in the future, but initial impressions based on specifications are very promising indeed. The S1 and S1R are scheduled to ship in early April, along with the three lenses. The 50mm f/1.4 lens is priced at a hefty $2299, while the 70-200mm f/4 is $1699 and the 24-105mm f/4 is $1299. If you buy the S1 or S1R in combination with the 24-105mm f/4 lens, you’ll save $400 compared to the combined retail price of both. We are looking forward to testing these cameras at Photography Life and seeing how they compare to the suddenly crowded full-frame mirrorless camera market. The LUMIX S1 comes with a 24.2-megapixel full-frame CMOS sensor (35.6mm x 23.8mm) that provides a wide dynamic range and excellent performance at high sensitivity in addition to a natural yet sharp image description thanks to sufficient light condensation per pixel. The LUMIX S1 supports professional use in videography by taking advantage of the stunning expression performance that a full-frame camera can offer. It records smooth 4K 60p video and enables full-pixel readout of signals in 4K 30p/25p*1to save truly beautiful footage. Furthermore, the LUMIX S1 will comply with 4:2:2 10-bit 4K 30p/25p*1internal video recording and 4K 60p HDMI output as well as V-Log, with a software upgrade key (to be sold separately) following soon in 2019. 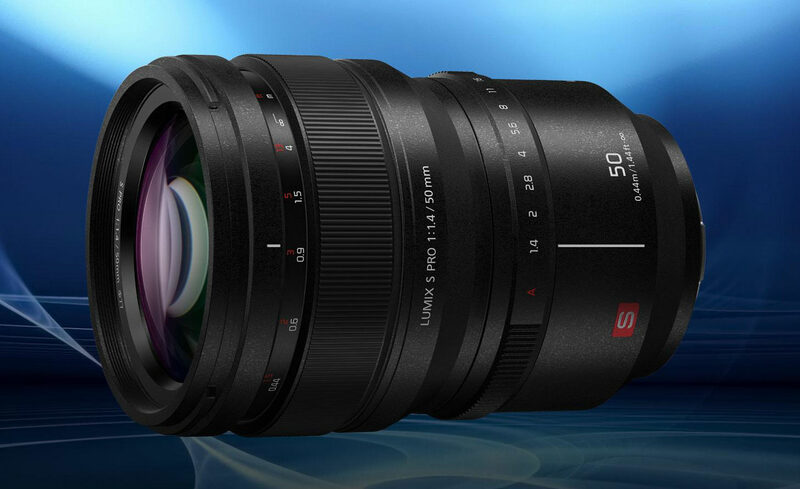 Drawing on the vast expertise of the L-Mount Alliance with Leica Camera and Sigma, various interchangeable lenses are available for the LUMIX S Series. On the other hand, the LUMIX PRO service*4has also launched to support professional work globally. The HLG*3Photo mode is a whole new style of photo expression that Panasonic proposes. It provides a wider dynamic range to reproduce light and shadow with more natural contrast. The HLG Photos can also be produced as an HSP file*4with compressed high-brightness signals in stunning 8K resolution (7,680 x 4,320 in 16:9, with LUMIX S1R) or its full resolution (5,888 x 3,312, in 16:9, with LUMIX S1) in addition to JPEG/RAW files. It excels in the expression of lights, such as sparkling starlight or glaring sunlight. The user can playback these vibrant images on the latest Panasonic HLG-compliant 4KTV via HDMI cable connection or other HLG-compliant devices. It is also ideal for photo presentations by photographers. Panasonic has achieved a high-speed AF with its advanced control technology over the major devices – lens, sensor and imaging engine. The lens and sensor communicate at a maximum 480 fps. Combining the Contrast AF with DFD technology, the LUMIX S1R/S1 realizes an ultra-high-speed, high-precision AF of approximately 0.08 sec*1.The LUMIX S1R/S1 also boasts high speed burst shooting at 9 fps (AFS) or 6 fps (AFC). With its high subject tracking performance, the LUMIX S1R/S1 never loses the target subject. As a camera that excels in low-light shooting, the LUMIX S1R/S1 boasts -6EV*2luminance detection performance with Low Light AF thanks to the higher sensitivity and optimized tuning of the sensor. The face/eye detection technology makes it possible to capture people in crisp focus, the Eye AF even detects the pupil of the eye and precisely focuses on it for impressive portrait shooting. The LUMIX S1R/S1 also incorporates advanced AI technology that detects specific subjects – humans and fast-moving animals, including dogs, cats and birds. The camera keeps tracking these subjects even when they turn their back to the camera. For more continuous burst shooting, 6K PHOTO*3makes it possible to capture unmissable moments at 30 fps by extracting the frame with the best timing out of a 6K burst file (in 4:3 or 3:2 aspect ratio) to save as an approximate 18-megapixel equivalent high resolution photo. The 4K PHOTO enables 60-fps high-speed captures in approximate 8-megapixel equivalent resolution. In 6K PHOTO /4K PHOTO, three exclusive modes can be chosen from depending on the situation; 6K Burst/4K Burst, 6K Burst (Start/Stop)/4K Burst (Start/Stop) and 6K Pre-burst/4K Pre-burst. Users can choose the most suitable burst shooting mode in addition to the regular consecutive shooting mode in full resolution depending on the situation. The LUMIX S1R/S1 is equipped with a double memory card slot compatible with SD (UHS-II) or XQD memory cards for high-speed, high-capacity continuous data recording. Users can flexibly choose the recording method from Relay Recording, Backup Recording or Allocation Recording using the double slots. It will also be compatible with CFexpress in the near future. The 7.4-V 3,050 mAh high-capacity battery can be quickly charged via USB PD (USB Power Delivery) using the bundled USB3.1 Type-C cable.And it also realizes high-speed data transfer. A variety of new accessories are available for the LUMIX S1R/S1,including Remote Shutter (DMW-RS2),　Eyecup (DMW-EC6), Battery Grip (DMW-BGS1) and Battery Charger (DMW-BTC14). The Battery Charger also complies with USB PD and enables quick power charging in approximately 2 hours. The camera can be used while charging via this adaptor. The conventional External Flash (DMW-FL580L / FL360L / FL200L) can also be mounted on the LUMIX S Series cameras. The LUMIX S1R is a camera designed and developed to boast exceptional performance in photography, yet is capable of 4K 60p video recording. *2To elevate the video expression even more, a variety of effects are available for video recording. The LUMIX S1 features outstanding video performance for professional videography with 4K 60p recording. It realizes a crop factor of 1.0x in 4K 30p/25p*1/24p, which means that the user can record video in the original viewing angle of the lens. There is no recording time limit*3for both 4K 30p/25p*1/24p and Full-HD video. Notably, the CMOS Sensor with high sensitivity on the LUMIX S1 achieves full-pixel readout for an excellent S/N ratio. The HDR (High Dynamic Range) video recording is available, which reproduces both the bright parts and dark parts of an image, making it look just like human eyes see it. The camera records video with a designated gamma curve compatible with ITU-R BT.2100, and you can now choose Hybrid Log Gamma (HLG) in Photo Style. The LUMIX S1 further expands its potential with a firmware update including 4:2:2 10-bit 4K 30p internal video recording and 4K 60p/50p HDMI output as well as V-Log, with a Software Upgrade Key (to be sold separately) following soon in 2019. When the ambient temperature is high or continuous recording is performed, the camera may stop the recording to protect itself. Wait until the camera cools down (*2*3). Photo Style Featuring a New Flat Mode: To shorten post-processing work, JPEG photos can be adjusted precisely according to the photographer’s intention. The LUMIX S1R/S1 also provides a Flat mode that features a plain finish with less contrast and saturation for versatile use. Variable Aspect Ratios With New 65:24 and 2:1: In addition to the standard 3:2, 4:3, 16:9 and 1:1, 65:24 (Film Panorama) and 2:1 (6 x 12 cm) aspect ratios are available for photo shooting. I.S. Status Scope: The user can consciously remove the cause of shake by checking a pointer that indicates the camera’s shaking condition. It is available while the viewfinder or rear monitor blacks out even during a long-time exposure. Flicker Decrease: When the flickering of a fluorescent light is detected, the camera indicates it and releases the shutter when its effect is the least to suppress the discontinuity of exposure or color across a sequence of photos. Highlight Weighted Light Metering Mode: The Highlight Weighted Light Metering Mode meters light with the priority on highlighted parts, to prevent it from washing out. New AWBw Auto White Balance Mode: In Auto White Balance, a new AWBw that retains a reddish tint is available in addition to conventional AWB (standard) and AWBc (bluish tint). AWBw reproduces healthy, rosy skin color even under fluorescent light. Bluetooth 4.2 and Wi-Fi 5GHz (IEEE802.11ac)* / 2.4GHz (IEEE802.11b/g/n): Compatibility with Bluetooth 4.2 (called BLE: Bluetooth Low Energy) enables constant connection with a smartphone/tablet with minimum power consumption. The settings of a LUMIX S1R/S1 camera can also be copied and transmitted wirelessly to other S1R/S1 cameras when using multiple S1R/S1 cameras*1. Also, Wi-Fi 5GHz (IEEE802.11ac)*2is effective in addition to 2.4GHz (IEEE802.11b/g/n.) This provides even secure and stable connection not only with a smartphone/tablet but also with other devices on location for smooth remote control. Transmission speed of photo/video data is also increased up by using the 5GHz-band*2. Lumix Tether: This software enables tethered shooting via USB. Users can control the camera by connecting it to a PC via USB. It lets you view the image on a large PC screen while shooting, which is helpful in commercial photoshoots of portraits, products and more, where continuous confirmation is required. You can use [6K PHOTO] [4K PHOTO] and start and stop video recording with tethered shooting. It is also possible to choose the folder to save the image files in the PC. Lumix Sync: Lumix Sync is a new application for iOS/Android devices, which enables photo transmission to a smartphone or tablet via easy wireless connection. It also allows remote control of the camera using a smartphone or tablet. Being a stills only shooter, the truckload of video features doesn’t attract me. But what I’m intrigued with is the 5.7m dot EVF that goes up to 120fps. Would like to try it one day. Because, until today, almost every EVF in the market are not yet good enough to me. I could live with it but OVFs are still less distracting in some way. What I’m shocked with, are the lens prices. The 50mm 1.4 goes for $2299, the 70-200mm f4 is $1699… I can’t imagine how much the f2.8 version costs when it’s out in future. My guess is that they are optimized for video and probably had no focus breathing at all. I could see mostly professionals adapting this ecosystem, it’s not something hobbyists will be lining up to purchase. And then, there is Sigma, who based on their current lenses in other mounts, should be able to quickly produce top quality L-mount lenses at lower prices than Panasonic and, of course, Leica. Excellent point. They probably made Sigma agree to wait until several months after initial release to announce their own L-mount lenses so that Panasonic and Leicca can get the maximum number of overpriced lenses sold before Sigma comes in and undercuts them. Will be interested in seeing if the contrast detection focusing is getting better. As a matter of fact, an interesting article would be to explain contrast and phase detection focusing. Prices for modern mirrorless are generally too high but I guess this is because people are switching over to phone/cameras so the market is shrinking fast, hence low production runs means higher prices to the consumer. I am on the edge of upgrading my DSLR and am considering a phone/camera instead of spending £1000’s on a new body + lenes.